There are many benefits of oatmeal for our body. Try changing your rice breakfast menu with oatmeal. In addition to containing lots of fiber that is good for digestion, oatmeal also has various other nutrients that the body needs. By eating a bowl of hot oatmeal in the morning, you are ready to carry out all activities with full energy and enthusiasm. Many important nutrients contained in Oatmeal, therefore the benefits of oatmeal for body health is quite a lot. Oatmeal made from oats is considered one of the healthiest foods. Oat contains more than 50 nutrients needed by the body, including carbohydrates, fiber, fat, protein, vitamins B1, B2, B3, B5, B9, calcium, magnesium, folate, phosphorus, manganese, potassium, and iron. Vitamins and minerals are important for your growth and development, also to maintain healthy bones, body tissues, metabolism, the immune system, and various other processes that occur in the body. Most oat carbohydrates come from fine flour or starch. The fiber content is also a unique fiber called beta-glucan. Fiber is what acts to reduce levels of bad cholesterol, sugar, and insulin in the blood. Besides being rich in fiber, vitamins, and minerals, oats also contain antioxidants which are believed to protect you from the risk of heart disease. Oatmeal contains fiber that can last long in the stomach. This keeps you full longer, preventing you from eating too much or snacking frequently. The result, your weight will be maintained. Oatmeal contains fiber which is thought to be able to inhibit or reduce the absorption of bad cholesterol (LDL) in the intestine. Eating fiber at least 6 grams (about 1 1/2 cups) or more every day can reduce LDL and total cholesterol in the body. You will get more fiber if you mix oatmeal with fruits, such as bananas. Taking oatmeal for several weeks can reduce LDL and total cholesterol. Cholesterol and LDL decrease, the risk of heart disease will also decrease. One of the benefits of oatmeal which is rich in soluble fiber can slow the absorption of sugar and help improve blood sugar levels. Diligently eating foods that contain soluble fiber can even reduce the risk of type 2 diabetes. Eating oatmeal or oatmeal is also thought to help treat digestive problems, such as irritable bowel syndrome, inflammatory bowel disease, and constipation. Oats used in daily food are also thought to reduce the risk of developing colon cancer. But all of this still requires more evidence and deeper research. Although the benefits of oatmeal are numerous and very healthy, many people don't like oatmeal because it tastes tasteless. To overcome this, you can mix several fruits, such as apples, strawberries, blueberries, or bananas into oatmeal. You can also add one tablespoon of brown sugar or honey to make it taste a little sweet. 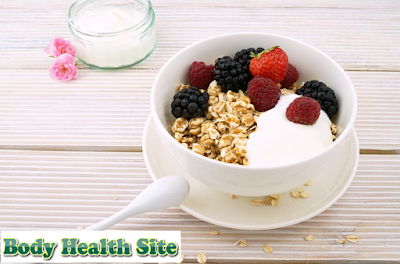 0 Response to "Benefits of Oatmeal for Health"
Heart Palpitations Symptoms of Heart Disease?